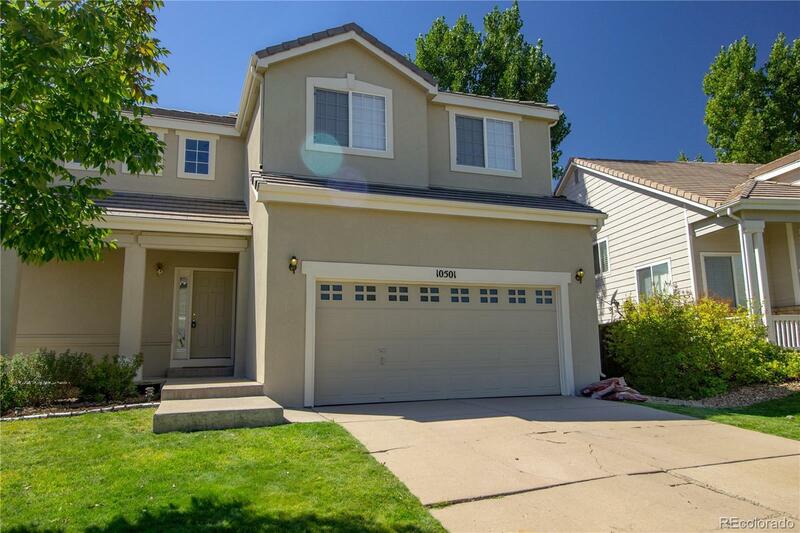 Come see your new beautiful Southridge 3bd/2.5 home in Highlands Ranch that is well under market! The fantastic price of the home reflects room for buyerâs changes and upgrades. With the exterior newly painted, the interior of the home has pleasing earth tones and white trim throughout that features a cozy family room with a vaulted ceiling, double sided fireplace leading into dining area and kitchen with a half bath on main floor. Spacious kitchen features stainless dishwasher, refrigerator and stove with tile countertops. Slider from kitchen leads outside to a large deck perfect for entertaining in the spacious, low maintenance, and terraced back yard. Upstairs features a large master bedroom with en suite bath, double sinks, large oval tub and walk in closet. Two other bedrooms and one larger full bath upstairs. Brand new exterior paint. Large two car garage with built in shelving for convenient storage. Short walk to Arrowwood Elementary.